I haven&apos;t rocked climbed in years. Ok, that&apos;s a lie. I&apos;ve never actually "rock climbed" . . . I&apos;ve only been bouldering . . . in Tonasket, WA . . . which isn&apos;t exactly a mecca of bouldering or climbing. Needless to say, my experience and skill level in any sort of climbing is limited. Yet, despite my shortcomings, I&apos;ve always wanted to start climbing seriously. Maybe because climbing is such a great workout. Maybe because I&apos;m looking for another activity to add to my ever growing list of hobbies. Or maybe it&apos;s because it looks so rad. There&apos;s never been a lack of great reasons for me to start climbing. But for some reason I&apos;ve never pulled the trigger . . . until now. I&apos;d like to think that I finally made the jump myself. But in reality it was my girlfriend who finally convinced me to start climbing. You see, she&apos;s probably the most adventurous person I know. And unlike me, when she discovers something she wants to start doing, such as climbing, she does it . . . right away. 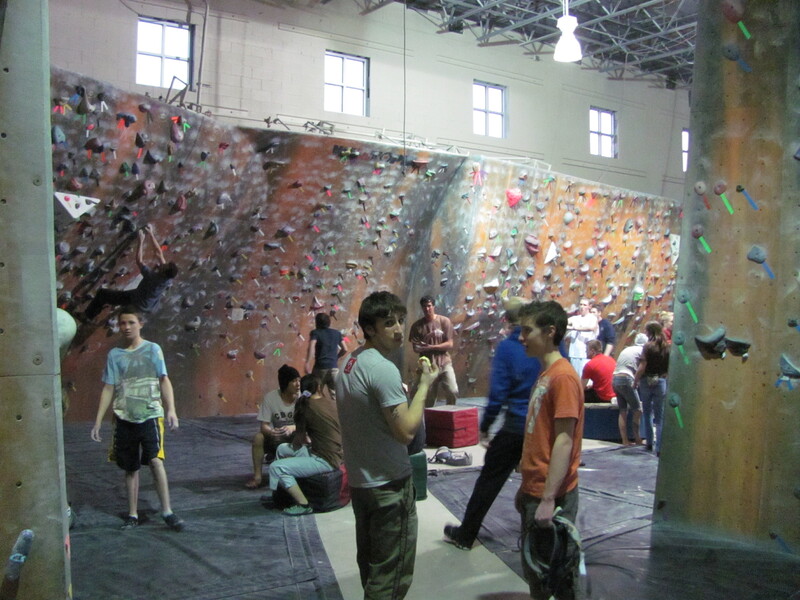 Fortunately for us, Salt Lake is a hotbed of climbing, both indoors and outdoors. 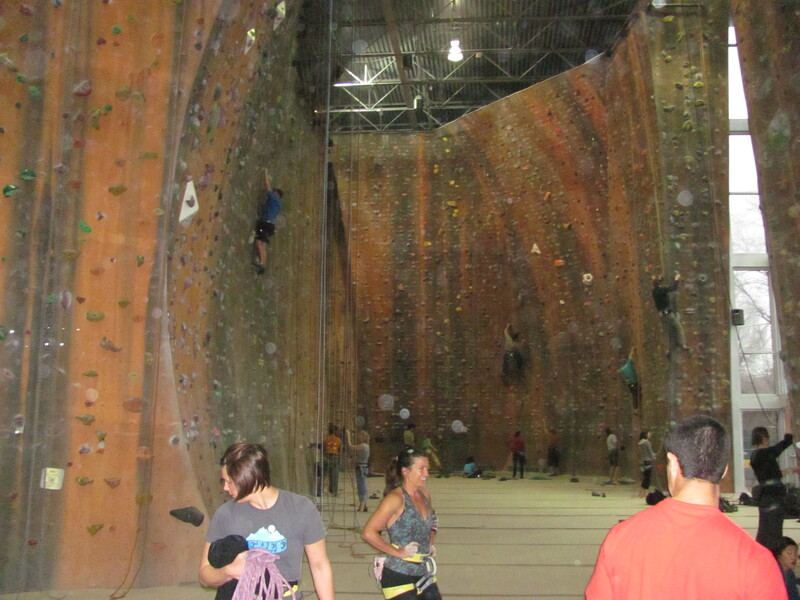 And being that ski season was in full swing, we headed for Salt Lake&apos;s largest and most notable indoor gym - Momentum Climbing Gym. After walking into Momentum, seeing the intimidating walls and routes, the highly skilled climbers hanging precariously by their fingertips and the plethora of technical looking equipment, I realized something. I realized that most people, including myself, shy away from climbing because of the perceived necessary skill level and technical prowess. Fact of the matter is, those guys climbing the insane routes have been climbing for YEARS! And they all started out the same way I did - knowing absolutely nothing! 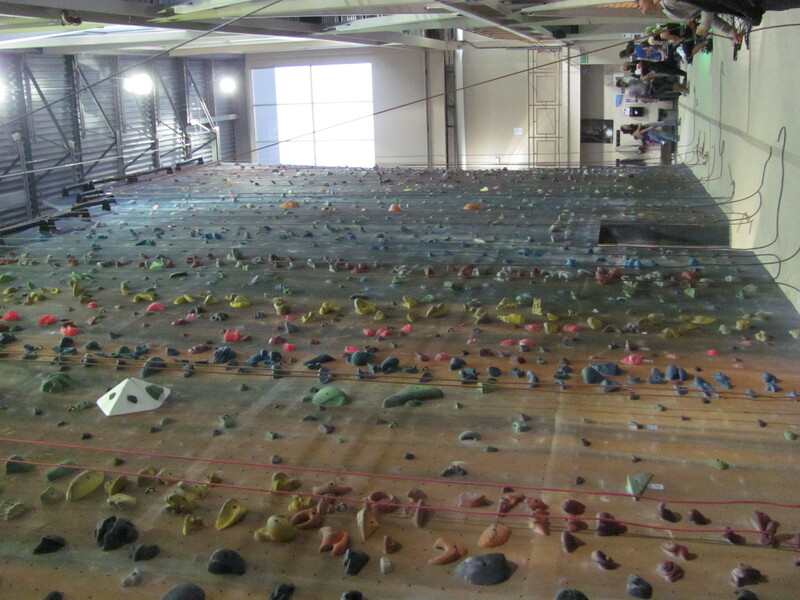 In reality, it only took about 15 minutes for me to pay for my gym time, rent the necessary equipment and get belay certified (a must for every new climber). After that I was turned loose on the wall, free to climb to my heart&apos;s content! 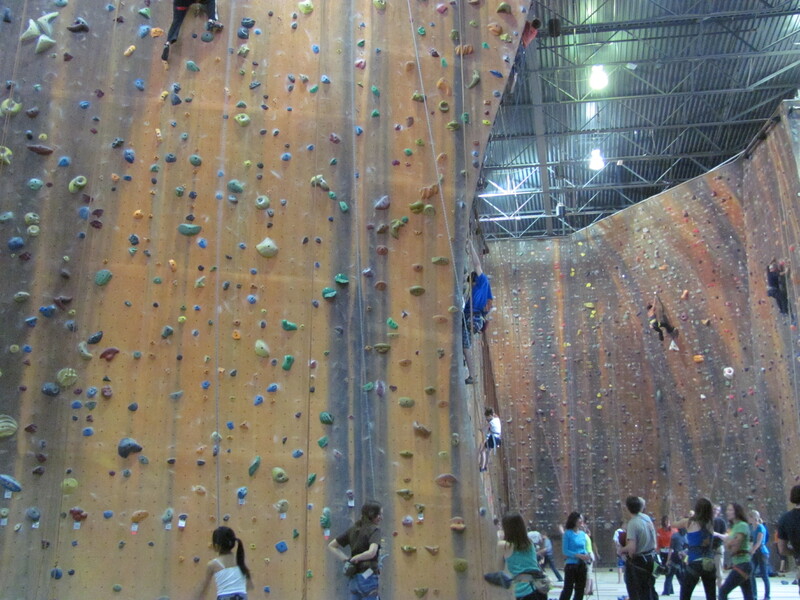 Momentum offers a great deal for climbing on Friday and Saturday&apos;s. For $10 you can climb from 6-10 pm. The great part about this deal, besides the fantastic rate, is that you get a good mix of people climbing. Not only is it great for the sport of climbing as it builds interest, but it&apos;s good for those new to climbing because they don&apos;t feel as intimidated as they would completely surrounded by expert climbers. The bad part of this deal - if you can call it "bad" - is trying to climb for four hours. Seriously, take the word of this newly wise and very sore climber - climbing for four hours is hard! Like any new beginner I started out tentative, slow and on easy routes. But by the end of the night I was climbing faster, smoother and with more confidence on harder routes - finishing the night by topping out on a 5.9. Pretty good for a first timer, if you ask me! With my first climbing experience complete, I&apos;ve come to a conclusion. Climbing is a great workout and you do look rad when you&apos;re doing it. But that&apos;s not the reason I like climbing and will continue to climb. I&apos;ll continue to climb because it hurts so good. You see, I was tired and sore after climbing. That goes without saying. But was I exhausted? No! In fact, I was energized. I was energized by the activity. Energized by the conquering of a new route or a difficult problem. And most importantly, I was energized by the progress I made, both physically and mentally. It is because of this feeling I get when I&apos;m done climbing that I&apos;ve since bought new climbing shoes, purchased a climbing harness and am quickly becoming a regular at Momentum Climbing Gym. To read about more Joe Johnson&apos;s great adventures, head to Two Feet to Adventure.